Welcome | Stop Snoring Now! Hi, my name’s David, and as a lifelong snorer, I can personally attest to the detrimental effects of snoring. Like most people, I thought that snoring was just a minor inconvenience, it was something that we joked about after someone fell asleep on the couch and started “sawing logs”. 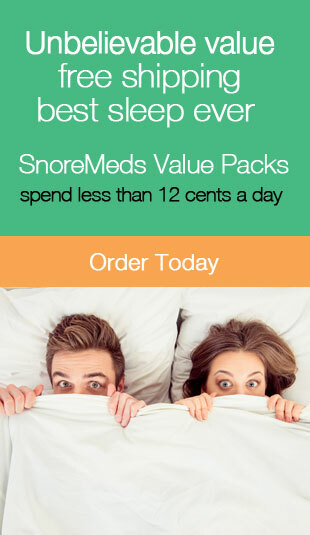 While I knew that there were stop snoring devices available, I lived for years as a heavy snorer without much thought. But then I started noticing things, like weight gain, irritability and the need to take naps during the day. While I never put two and two together, it wasn’t until my wife started sleeping in our guest room that I started to wake up. She had tried to put up with my snoring as long as possible, but I was keeping her up at night and affecting her moods during the day also. So now my snoring was not only affecting me, but it was also negatively affecting my wife and our relationship. As a direct result of my snoring I was damaging my emotional and physical relationship with the most important person in my life (not to mention my physical and psychological health). It was only then that I decided to do something about it. After doing a lot of research on snoring and its causes, I tried all kinds of stop snoring devices with varying degrees of success. I discovered that snoring can be categorized into 3 main types, Nasal Snoring, Throat Snoring and Tongue Snoring. And while they each have their own effective treatments, my snoring (like many peoples) was caused by a combination of 2 of the three types of snoring. It wasn’t until I found the right combination of snoring devices that I finally discovered what a truly restful nights sleep was. And it wasn’t like I had to wait to see results. Like most people who snore, I had no idea how much better I could feel after just one night of uninterrupted sleep. No more drowsiness during the day, no mid-afternoon naps, and I was much nicer to be around. Finding the right mixture of stop snoring devices has changed my life so much that I can’t imagine why I didn’t do this sooner. My passion has become helping others discover just how much better they can feel by getting a truly restful nights sleep. I am always available for consultations and questions via the comment sections or email and I love hearing from you. To a happier and healthier you!